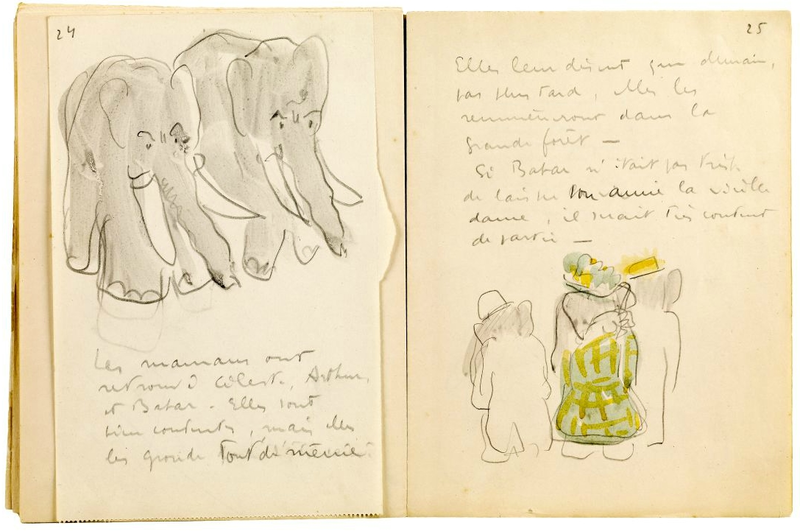 The Morgan library also have a digital facsimile of a unique maquette created by Jean de Brunhoff in 1930/31 as a first draft of the first book in the Babar series: Histoire de Babar. The maquette (scale model or rough draft) is a small (20.5 x 15.5 cm) handmade booklet incorporating both text and illustrations. Image Copyright Morgan Library - HERE.